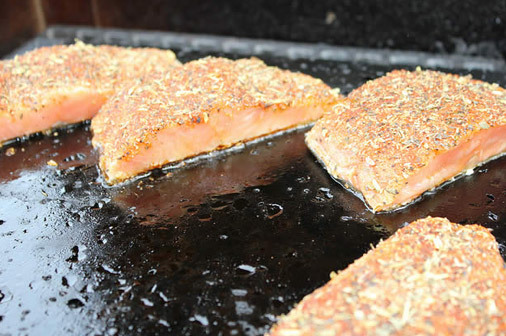 The Island Grillstone creates a wonderful crust to sear into the salmon filets. Brush each salmon fillet with about 1 tsp oil. Press spice mixture on skinless side of salmon. Place salmon, skin side up on grill grate. Cover Grillstone. Cook over high heat about 3 minutes.